From prawns on Christmas Day, to calamari at the beach, to oysters on New Years’ Eve, nothing says “Aussie summer” like fresh seafood. Here’s a collection of our favourite recipes featuring the stunning seafood available every weekend at Brisbane MarketPlace’s Saturday Fresh Market. While they’re notoriously good on their own, there’s nothing like a buttery sauce to really impress guests when you next plate up a few dozen of these ocean treats! Place butter, herbs, garlic, and salt into a small mixing bowl and combine. Light your barbie and allow the grill plate to come to high temperature. Place oysters cup-side down on the plate. Allow to grill for about a minute. The oysters will begin to sizzle and pop. 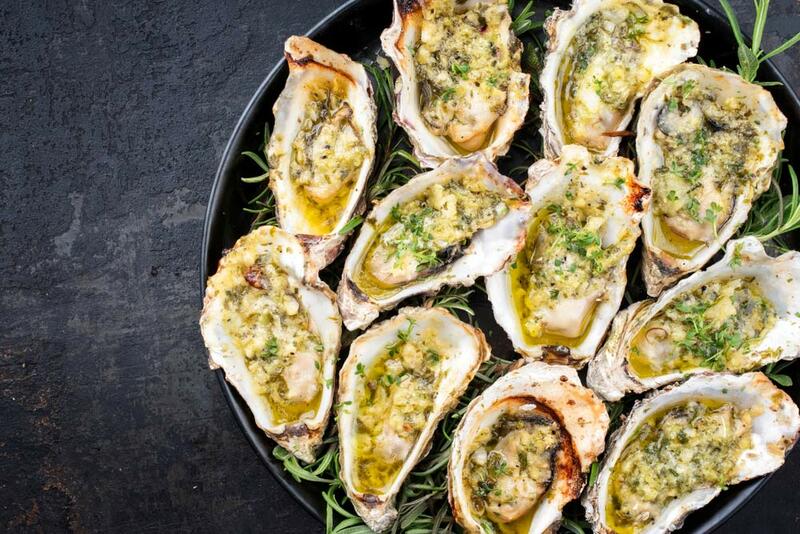 Add a tablespoon of herb butter to each, returning to grill shell-side down. Cover, and cook for 3 to 5 minutes. 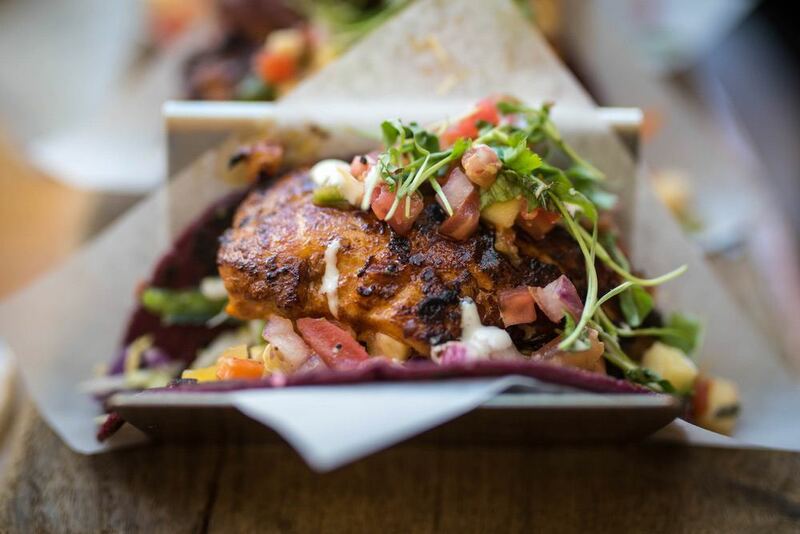 Salmon fillets are an easy and delicious way to feed a crowd; this fresh, fruity salsa elevates the dish to something special. Combine first 8 ingredients in a bowl; Sprinkle with 1/4 teaspoon salt; toss gently. Sprinkle fillets evenly with remaining 3/4 teaspoon salt and black pepper. Place the fillets on a grill rack coated with cooking spray, and grill for 10 minutes or until desired degree of doneness, turning after 5 minutes. Barra is a versatile, family-friendly fish. These tacos are great for lunch or dinner, and are smothered in a zesty, creamy sauce. Combine thyme, cayenne pepper, and half a teaspoon of salt and black pepper. 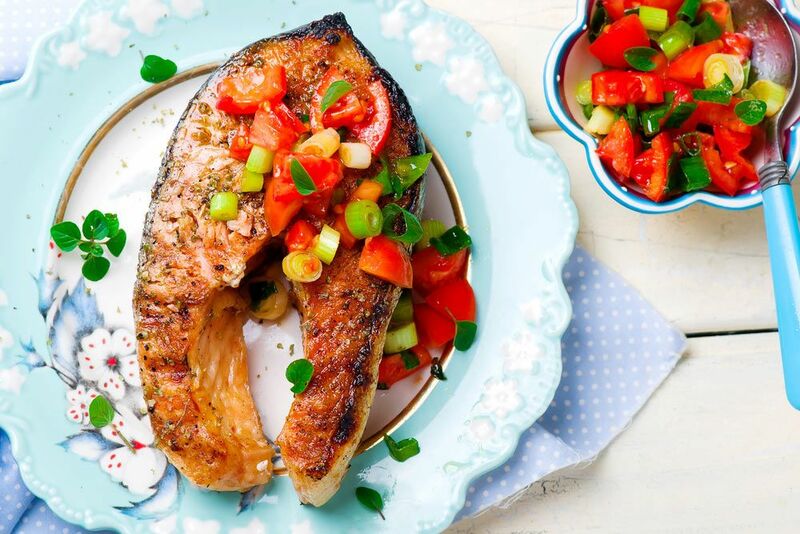 Prepare a pan by brushing it with a drizzle of olive oil, then brush barramundi fillets with olive oil. Sprinkle spice mixture over the fillets. Rub in to both sides of the fish. Bake until dark and flaky, about 8-10 minutes. While fillets are baking, place sour cream, lime juice, coriander, and garlic into a blender and combine. Add salt and pepper to taste, as desired. Once the fish has finished baking, plate the meal by topping each tortilla with shredded cabbage. Pull apart the blackened fillets and place on top of the cabbage. Add a slice of avocado and the sour cream mix to each tortilla. Top with extra cilantro, sliced cherry tomatoes (if desired) and another squeeze of lime, to taste. 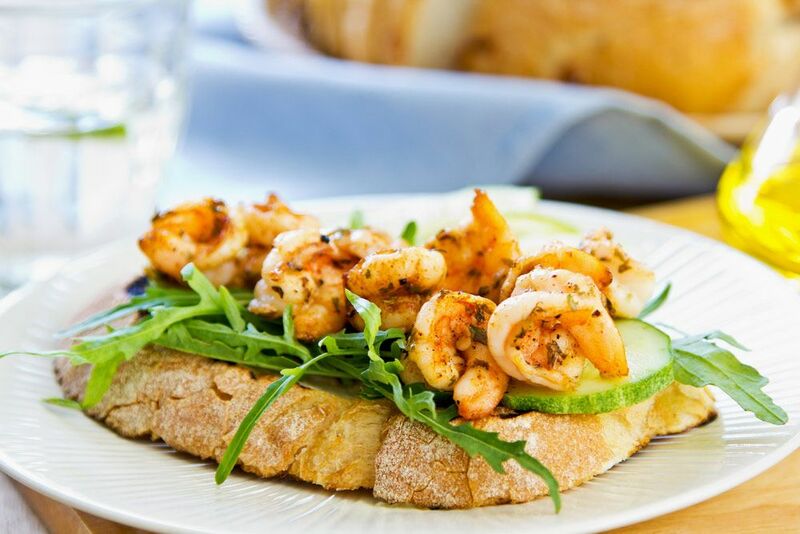 These simple bruschettas let the flavour of the prawns shine, with a delicate combination of flavours. Toast the bread and keep warm. Heat the oil in a wok, then cook the garlic and chilli until sizzling. Turn the heat up, add the prawns, and cook until pink. Remove from the heat, add the lemon juice and coriander. Season, then layer lettuce and prawn mix on toasts and serve. You can’t beat market-fresh seafood for easy summer cooking-head to Rockela’s Saturday Fresh Market for the best seafood and produce to whip up some new favourites this summer.